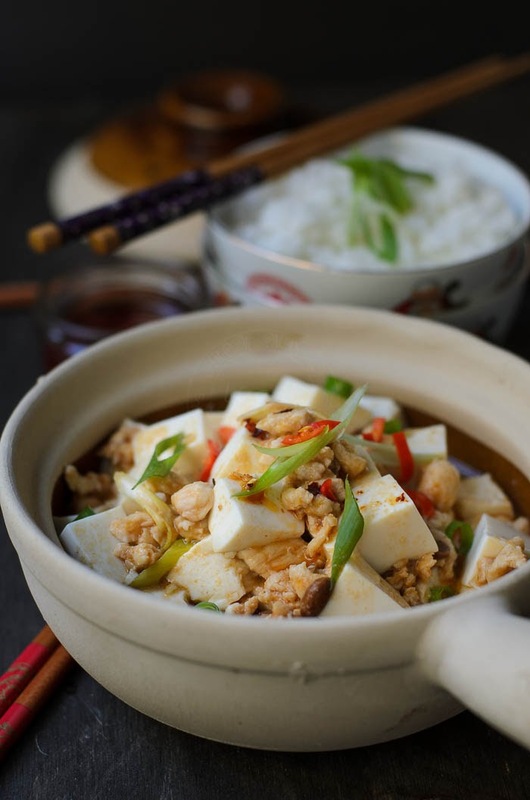 Mapo tofu, is probably one of the well known, most cooked dish amongst foodies/ cooks around the world. 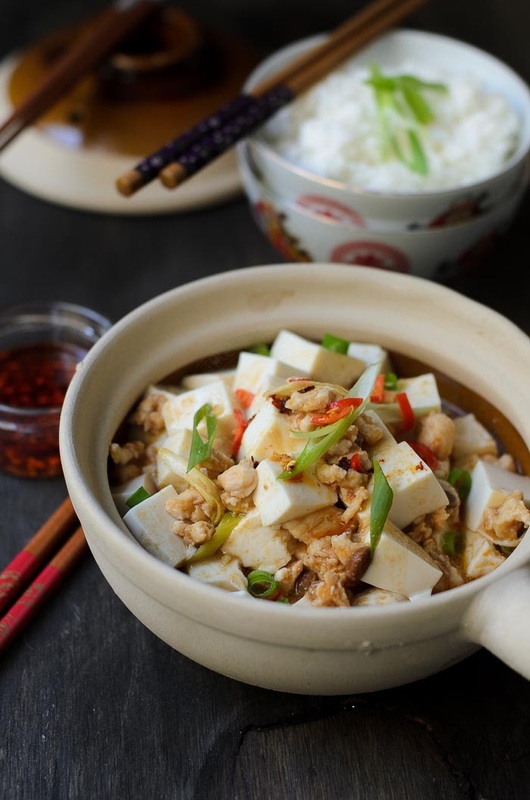 Mapo Tofu is originally from Sichuan Province in China. Sichuan cooking has bold flavours, using chillies, garlic and gingers. Another star ingredient in Sichuan cooking would be Sichuan peppers! And have you tried Sichuan peppers? Allow me to elaborate a little bit on Sichuan peppers. Unlike its close cousins, ie black peppers or white peppers, Sichuan peppers has a slight lemony taste to it. Sichuan peppers are known for its tongue numbing effect. 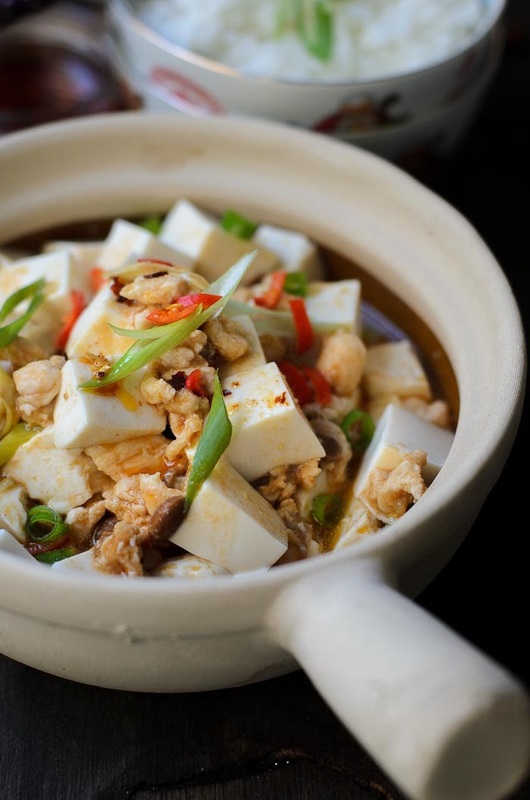 Another dish from Sichuan province, that we enjoy (and will cook when temperature start to dip) is the Hot and Sour Soup. In the past, I, either ate Mapo tofu when we were out eating in some Chinese restaurant in Malaysia or I'd buy the ready mix packet from Asian grocer here. The ready mix Mapo tofu came with a price tag (yes, Perth is quite an expensive city when it comes to food, compare to other states/ territory). What I used in his tweaked version of mapo tofu. I used Extra soft silken tofu, Macro brand from Woollies. This tofu so far the best soft tofu I have ever tasted. It has smooth texture, and cost a little bit more that the soft tofu bought from Asian grocer. Don't be discourage looking at the lengthy recipe below. Trust me, its easy to whip up. Its a one pot meal, from stove to dinner table within 30 minutes. Serve with hot jasmine rice. 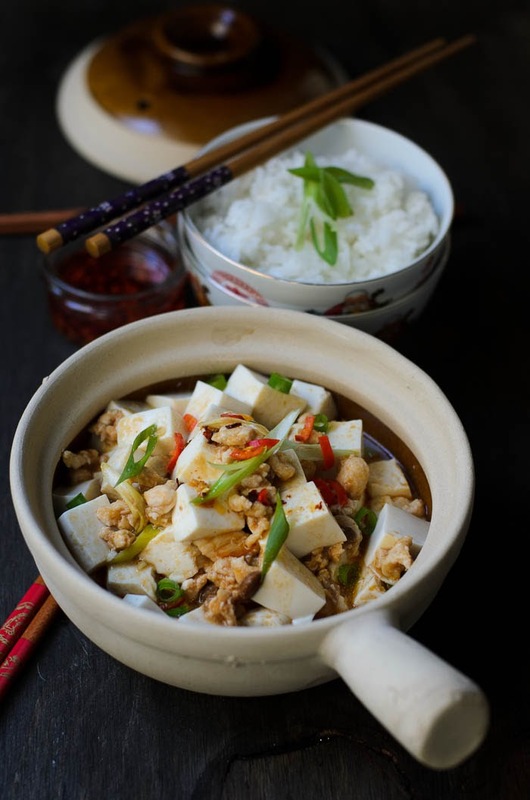 I hope you will enjoy our version of Easy Mapo tofu :D.
Hot and spicy beancurd or better known as Mapo Tofu. Combine ground chicken with all the ingredients under 'Marinade', set aside. Add bean paste and chilli oil. Stir and cook for another minute or two. Add cubed tofu, gently coat with sauce. Cover and simmer for 5 minutes. Remove lid and stir to mix. Sprinkle with chopped spring onions. I love tofu ! Haven't made this dish for a long time and you just tempted me to do so. Hope you're going to have a great weekend. Hi, nice post! 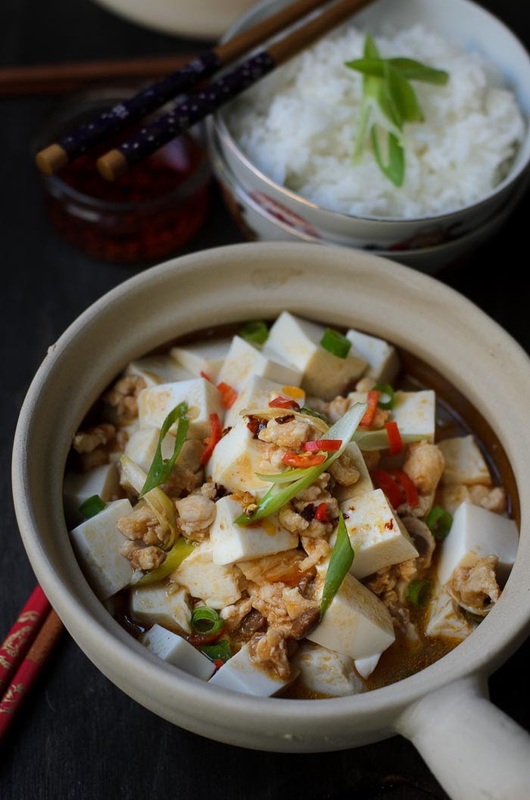 This Mapo tofu sound great, Thanks for sharing!!! !